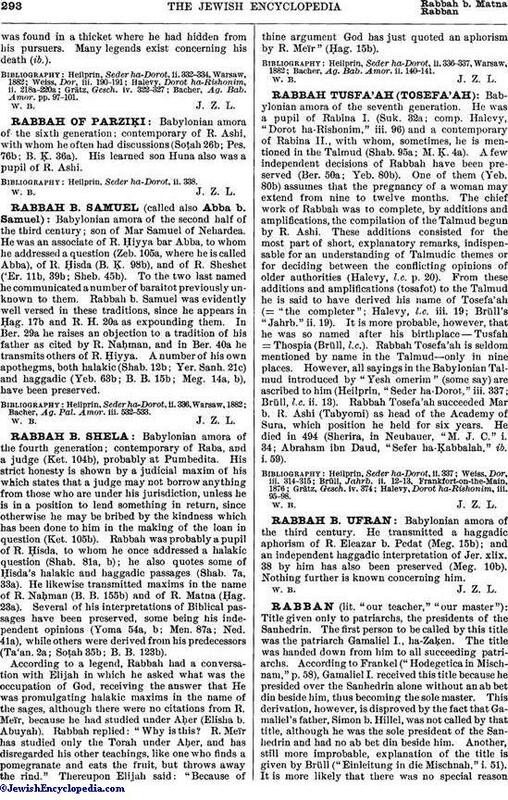 Babylonian amora of the sixth generation; contemporary of R. Ashi, with whom he often had discussions (Soṭah 26b; Pes. 76b; B. Ḳ. 36a). His learned son Huna also was a pupil of R. Ashi. Heilprin, Seder ha-Dorot, ii. 338.